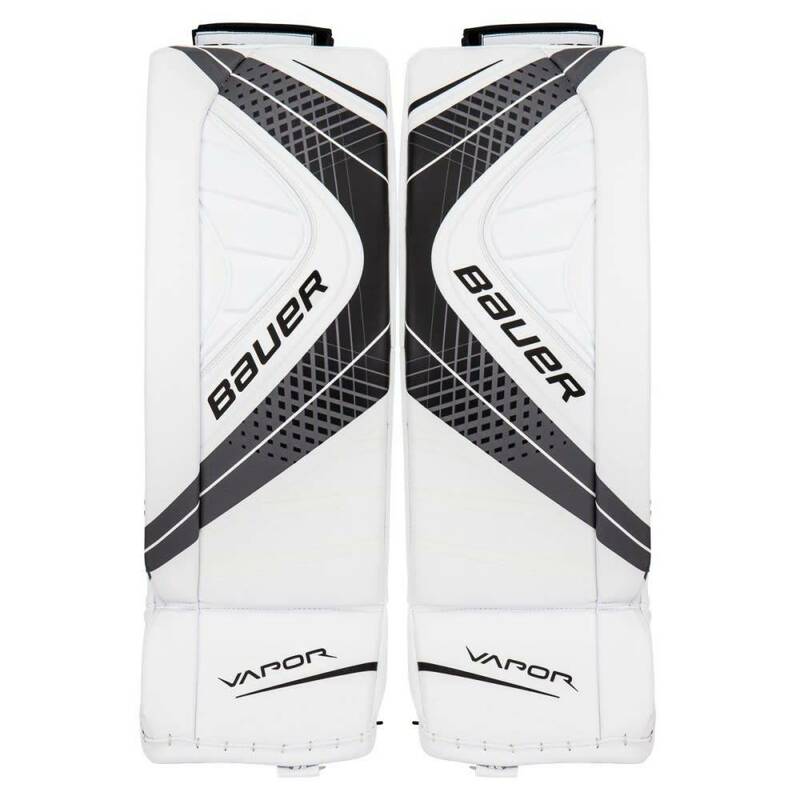 The Vapor X900 pad comes with a standard style sewing pattern in which the pad face is reverse sewn to present a bindingless clean look. 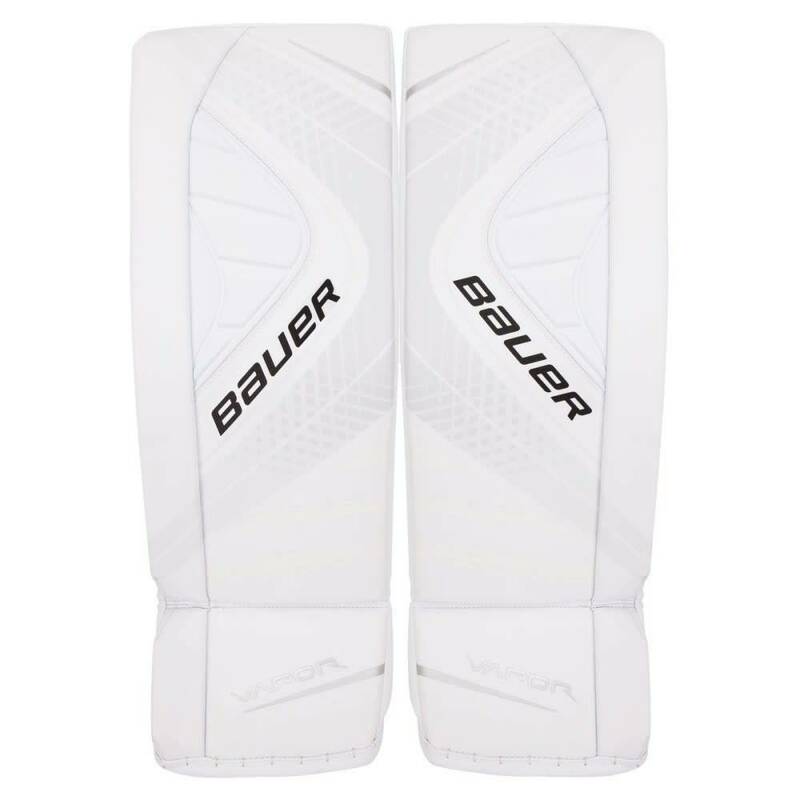 Also, the internal core lacing only runs through the leg channel and not through the face of the pad to continue the sleek and clean look. 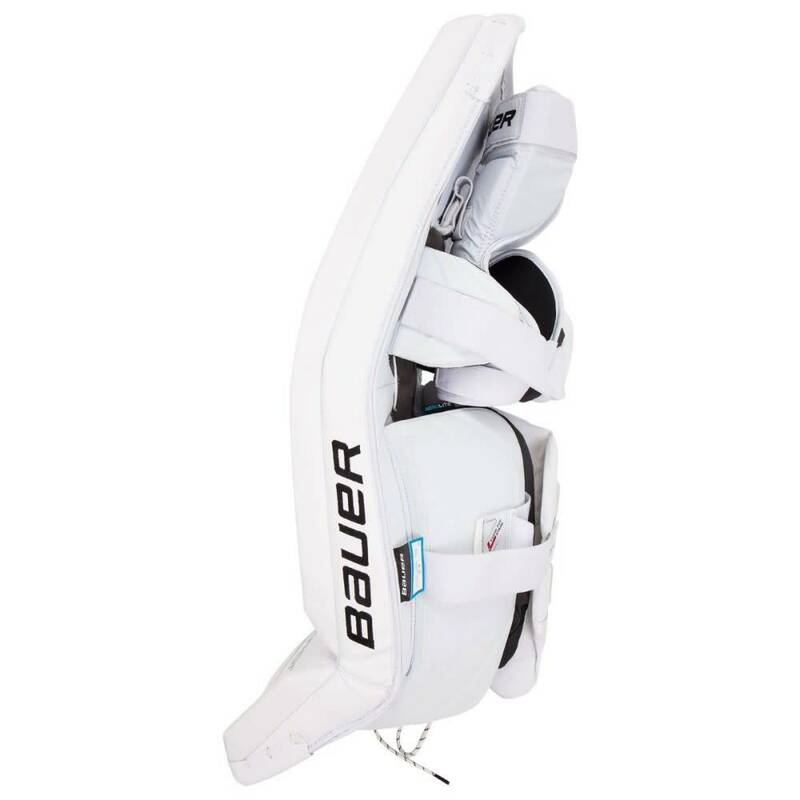 The internal structure of the pad is made of a standard HD Foam mixture which still gives the pad a rigid core but also allows the plenty of flex within the thighrise and below the knee, which is synonymous with the Vapor 1X OD1N pad. The inside sliding edge of the pad still features C.O.R.TECH Skin technology which will help dramatically increase sliding speed. 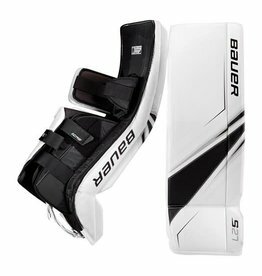 The tapered knee block on the Vapor X900 has a 45 degree cut at the top which is designed to reduce the amount of contact goalies traditionally experience. 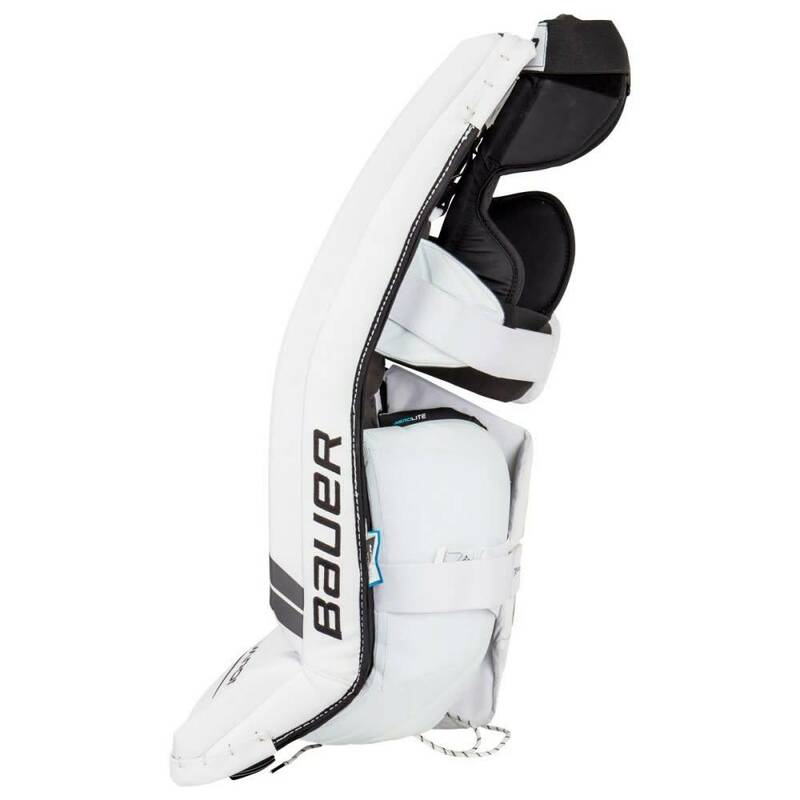 The knee block has a redesigned pillow top layer which is made of a Nash material which grips while down and increased comforted when dropping into the butterfly. 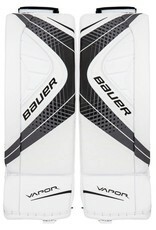 The Vapor X900 pad features a new style strapping system similar to their player line of Nexus Shin Guards. Along the new Thermo Max liner, the leg channel has the Tune Fit Strapping system allows for full Velcro strapping and adjustments for an extreme dialed in fit. The Tune Fit straps both run above and below the calf muscle for a secure fit that can be placed anywhere on the outside calf protector with a smooth elastic calf strap holding the sliding edge comfortably on the leg. 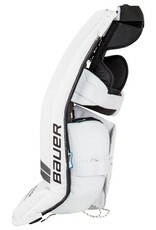 Bauer continues to use their elastic toe ties, which are now offset towards the inside edge of the pad. The elastic toe ties now resemble a bungee cord effect where it can be tied tight to the front of the skate, but also allow for ultimate freedom of movement and tension release on the ankles. 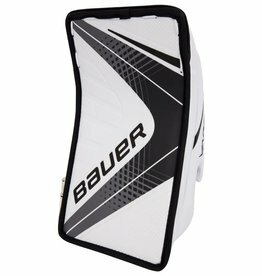 Stock, the pad does not come with a boot strap attached, but it can be added if the goalie desires. 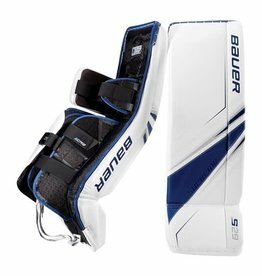 Next, the Vapor X900 pad features a sewn in outer knee lock for goalies who like to run their knee Velcro directly behind the knee. 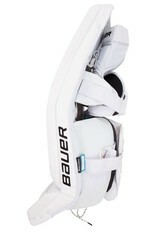 There is still room on the outer calf if the goalie wishes to angle their Velcro knee lock down. Still in the knee section, the X900 comes with a removable knee guard which is built in similar fashion to the Reactor knee guard. Lastly, the X900 pad features a new gauge of measurement in which pads are now proportionally sized based off of their years of research. 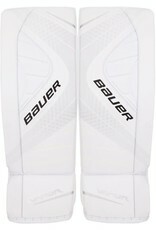 The pads will run in sizes Small-XXL and have proportionally measured thigh rises for that range of goalies.